Propellerhead Software announced Reason 6, a major update. At the same time Propellerhead debuts Reason Essentials, the successor to Record, that comes with recording, editing, effects, instruments, mixing and mastering features in one package. Combining the features from Record, Reason version 6 adds audio recording and editing, along with Propellerhead's mixing console with modeled EQ and dynamics on every channel, multiple parallel racks, Line 6 amp models, new effect devices plus additional features. New creative effects designed for inserting into instruments and tracks include: Pulveriser, sound crushing effect with crunchy compression, dirty distortion and flexible modulation; The Echo, stereo echo with modern delay and analog tape echo emulation: and Alligator, a three band pattern gate for complex rhythmic texturing. Interface enhancements, high definition audio transpose and true 64-bit compatibility highlight other new feature improvements, according to PH. Check out www.propellerheads.se/reason6 for more. Distilled from the core of Reason, Reason Essentials contains a selection of instruments and effects in a virtual rack that builds itself, or can be customized—drum machine, loop player, sampler, synths, reverb, delay, distortion, mastering effects and more. For guitar players, the built-in virtual guitar and bass PODs from Line 6 bring a range of guitar amps, cabinets and effects. 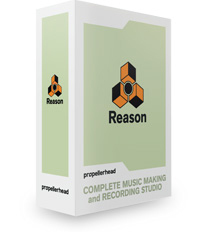 Visit www.propellerheads.se/products/reason-essentials for more details. 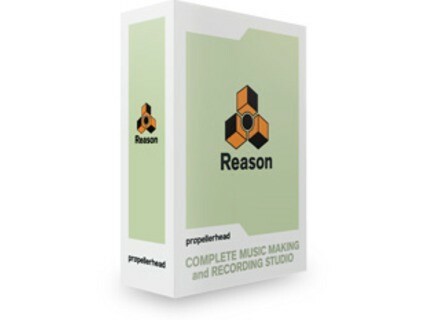 Propellerhead will also offer special grace period offers for purchasers of Reason, Record and Reason-Record Duo this summer. Distorque Plusdistortion v1.0 Distorque has announced the release of version 1.0 of Plusdistortion, a free Windows VST effect plug-in that emulates an MXR Distortion+.